The story of D-Day, the turning point in World War 2 has been well documented. But this lavishly illustrated book and accompanying epic TV drama will turn all preconceptions of Operation Overlord on their head. June 2004 marks the 60th anniversary of D-Day, the last time official reunions of veterans will take place this is our chance to honour the veterans of the biggest military invasion and defence the world has ever seen. Told through the eyes of the men who were there: from veterans both Allied and German to the spies, resistance members, reporters and official photographers. Fresh stories, surprising heroes. Book is divided into two sections: the build-up to and planning behind this huge amphibious assault, an amazing 3 years in the organising. The role of the French resistance in mapping the coastline, the calamitous training exercise Operation Tiger when 800 soldiers drown in the Channel, the unknown Allied officer who planned the invasion, spies such as Garbo who radioed misinformation to the Germans leading them to believe the invasion would take place at another time and place. The second half of the book is a dramatic countdown hour by hour through the longest day. From the Omaha beach landings, powerfully recorded by the renowned photographer Robert Capa, the massacre of the Gestapos prisoners at Caen Jail, to Rommels dash back to the beaches from Germany where he has been taken unaware. 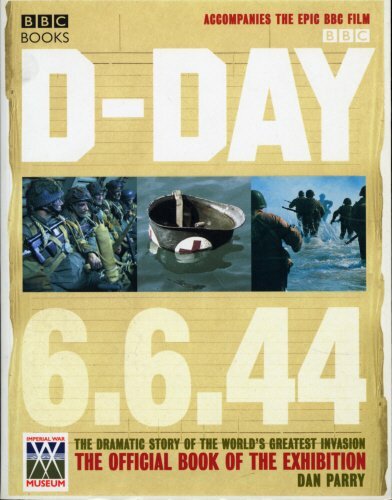 A fitting tribute to the veterans who turned the war around through their heroic endeavours, D-Day is a stunning celebration of the biggest campaign in military history.